Milex opened in 1976 with our auto repair shop at 6911 E Broadway in Tucson, AZ and was purchased by Alan McGee in 1980, at which time there were two shops, our original Broadway shop and one on Oracle Rd. In 1984, a third auto service center location was added at Stone & 5th Street, and the three shops were operated with Alan as General Manager for about 25 years, then the Oracle and Downtown shops were sold. Milex employees all participate in ongoing training in our fast moving industry, including Alan, who was in the first graduating class in 2002 of the Automotive Management Institute as an Accredited Automotive Manager (AAM). 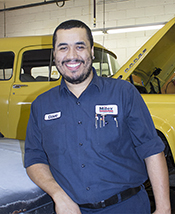 He has been the driving force in establishing a company culture that strives for customer excellence, which has been a significant factor in Milex having received AAA Approved Auto Repair “Top Shop” awards for 2011, 12, 13, 14, & 2015. In addition Milex has been an Accredited Member of the Better Business Bureau since 1978 and received the coveted Better Business Bureau Torch Award for “Customer Excellence” in 2011. Contact us today to learn more about the different services we offer and to schedule your appointment. 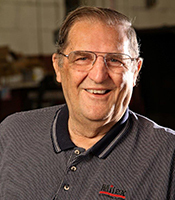 Joseph W. Tuholski, ASE Certified Master Auto Technician and L-1 Advanced Engine Performance Certified, has been named by the administrators of the ASE program as ASE Master Automobile Technician in the U.S. for the Year 2013. Some of the parameters for this award are that the winner must be: ASE Master Certified; Have taken one or more Automobile or Advanced Engine Performance tests in the past twelve months; and must have the highest average passing score across all auto and L1 series tests in the last 5 years. With over 360,000 ASE Certified Professionals in the United States, this is a fabulous award to have received! Joe was recognized as the national winner at a two day banquet and program in California in November 2013. 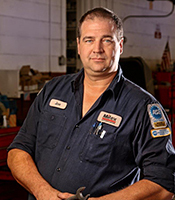 Joe is the lead technician at Milex Auto Service, and started with us in 1992. He and his wife, Astrid, have three children, Cassandra, 19; Christopher, 16; and Alexandra, 12. He enjoys target shooting, is a great family man, and a supporter of the principles of sound government established by our founders. As our lead tech, he lends his knowledge and expertise to others in the shop, helping maintain excellence in quality plus the development of the skills of others. David, an ASE Certified tech, started with Milex in 2006, then in 2009 moved to Washington, D.C. to be with his family. Having endured enough of D.C. weather, he moved back to Tucson in April 2014, and re-joined our team . In addition to his other skills, he brought with him some multi-year training and on the job performance with European imported vehicles, adding a level of expertise that rounds out and enhances our ability to provide skilled services for most makes and models on the road today. David’s good nature and sense of humor fit in most admirably with our other staff members, and we are pleased to have him back. 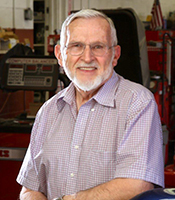 John has the most longevity of anyone on our staff, having started with Milex at this shop as a mechanic in April 1976. Early on in the ASE program, he reached the Master Tech level, then an L-1 Advanced Engine Performance certification. In 1978 he became Manager of our Broadway shop, then later our Stone & 5th shop, then in the 1990’s worked as both Relief Manager and filled in as a tech as needed. In 2008 he “semi-retired” but has continued to help us out as needed as Relief Manager plus is our in-house computer technician. John has a wealth of automotive mechanical and electronic knowledge from which we have benefitted for many years. In the automotive service and repair industry, Dan has done it all, from lot boy in a car dealership to parts sales to Service Advisor and shop Manager. He wears two hats, that of an ASE Certified Service Advisor, and as shop Manager, and has been with Milex in those capacities for almost seven years. Dan retired in March, 2015, but is filling in as Relief Manager and some occasional other functions. He is an avid golfer, motorcycle rider, and grandpa to several grandchildren so he is keeping busy! A veteran of over thirty years in the automotive service and repair industry, Perry joined our company as Service Advisor & Shop Manager in July 2015. 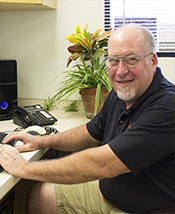 Originally from Illinois, Perry has been a Tucsonan for twenty-five years and has managed several large auto repair shops in Tucson during that time, so is very familiar with the cultures of both our city and our business. 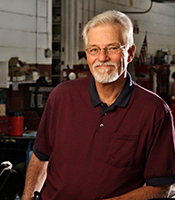 As Service Advisor, Perry receives the completed workorders, inspections, and recommendations from the tech and after reviewing all, prepares the estimate for the customer, obtains approval for the work, orders any parts needed, and follows the vehicle’s progress for accurate and timely completion of the work. Cindy is the lady that greets and works with our customers, checks to be sure that their needs and expectations are being met, checks them out upon completion of the job. (She also keeps the men in the shop from getting her clean office mussed up!) She is our primary shuttle driver, providing pickup and return for our customers as needed. 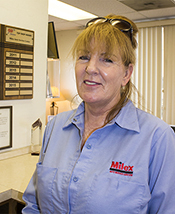 She is also the person that double checks the work for completeness and accuracy and checks the customer out when it is all done Before coming to Milex, Cindy had many years experience in the industry including parts Management and Sales, Supervisory duties, and more. !